Traveller’s Tales has spent the better part of the last 10 years building Lego games. The small English studio cranked out the first Lego Star Wars way, way back in 2005. And although they have been iterating on this winning formula ever since, refining it almost to high art, there are many that believe that if you’ve played one Lego game, you’ve played them all. Maybe it’s the strength of the Marvel license, or maybe it’s just the refinement of turning out 20 Lego games in 9 years, but Lego Marvel Super Heroes is hands down the best Lego game yet. Avengers assemble! No, really, you will have to build a lot of things out of Lego. I would like to preface this review by stating a couple of facts. One, I am the biggest Marvel comics fan in the United States, possibly the world. Two, I have not 100% completed the game, but with about 38 hours lost to it, I felt like I had enough to make a judgement call. 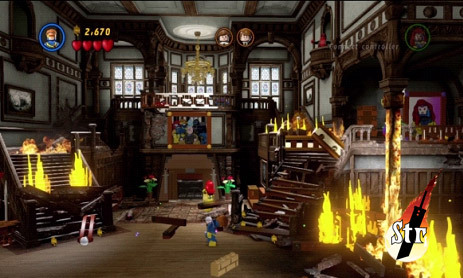 The game can be broken down into two major components: the story mode, which comprises about 7-8 hours of gameplay, and everything else, which comprises all the exploration, character unlocking, and free roaming activities in Lego’s version of NYC. The Story mode is your standard comic book fare; it concerns a cosmic power in the hands of Marvel’s baddest bad guys, which leads the Avengers, Fantastic Four, X-men, Spider-Man and dozens of Marvel’s mightiest heroes to join forces in order to shut them down. 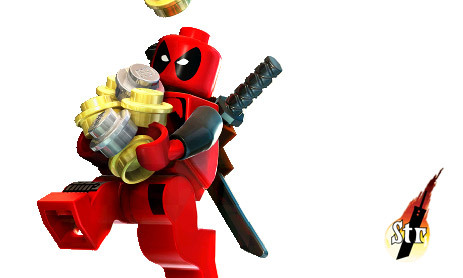 The comic book storyline pairs well with the charming, and by now ubiquitous, Lego style. What results is a Marvel Team-Up of massive proportions, leading to a showdown with the devourer of worlds, Galactus, for the fate of the Earth. The X-mansion’s insurance premiums must be astronomical. Once the game proper is completed, you have only just begun. My completion status as the credits rolled was somewhere in the neighborhood of about 15%. 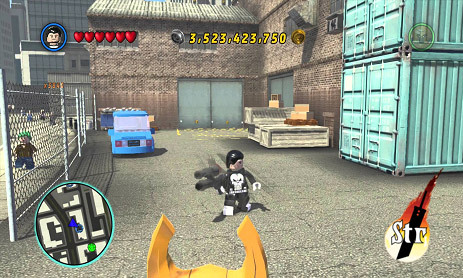 So what else is there to do in Lego Marvel Super Heroes? Just about everything. The entire open city is your playground, and there are side missions, races, hidden gold bricks, and additional characters to unlock. A word about these characters. There are some deep cuts into Marvel’s rich history of heroes and villains. Moon Knight is in this game. Not obscure enough for you, comic book guy? How about Squirrel Girl? Ronan the Accuser? Beta Ray Bill? These characters and several dozen more are unlockable by completing side missions and spending your hard-earned Lego studs, collected in story missions and throughout the city. Think darker characters like The Punisher are off-limits in a kids’ game? Wrong. The city itself is huge, and given that you are expected to spend upwards of 50-60 hours unlocking everything, that is a good thing. It is unfortunate that a game with a cast of so many is so limited when it comes to the voiceover, however. You will hear the same dialogue many times over. Mitigating factor: apparently upwards of 40% of the people of New York are voiced by John DiMaggio. So try to imagine hearing Lego citizens discussing who is cooler, Silver Surfer? Or Iceman? In the voice of Bender. That’s a trade-off I’m willing to make. 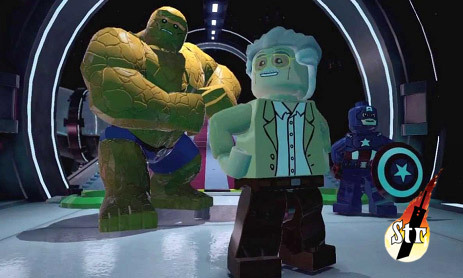 Great, Lego Stan Lee! Not included: Lego Jack Kirby. 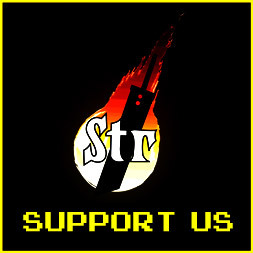 In addition to replaying levels, finding mini kit pieces, and finishing side missions, you will need to complete all instances of “Stan in peril”. Stan Lee, Marvel’s fast-talking geriatric frontman appears in every level, and several places in the open world. As the name suggests, he is trapped in a Quinjet, hanging from a skyscraper, or pinned by metallic debris. Save him! Or don’t, Kirby’s heirs might thank you. And speaking of fast-talking hucksters, Marvel’s inexplicably popular, fourth-wall breaking Merc with a Mouth plays a very special role in the game. He can only be unlocked by finding red Deadpool bricks. These are hidden in all of the post-story mode side missions, which are mercifully brief, and narrated by Deadpool himself. They take place in (among other locations): the Kingpin’s skyscraper, Dr. Strange’s Sanctum Sanctorum, and in a very weird, meta-reference, in the Manhattan offices of Marvel Comics. In closing, I’m sure that my love of the source material has a lot to do with how much I’ve enjoyed my time with Lego Marvel Super Heroes. But if you like Marvel comics just a little bit, or maybe if you’ve never played a Lego game, or you haven’t played one since Lego Star Wars, I can heartily recommend this game. If you are a completionist, know that there is at least 60 hours worth of gameplay waiting for you. Traveller’s Tales have proven that they are tuned in to what makes a game enjoyable for kids, as well as 40 year old obsessive-compulsive man-children such as myself. 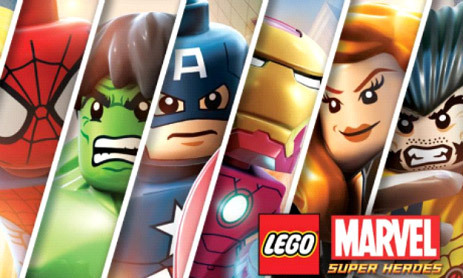 1 Pings/Trackbacks for "Lego Marvel Super Heroes : Review"